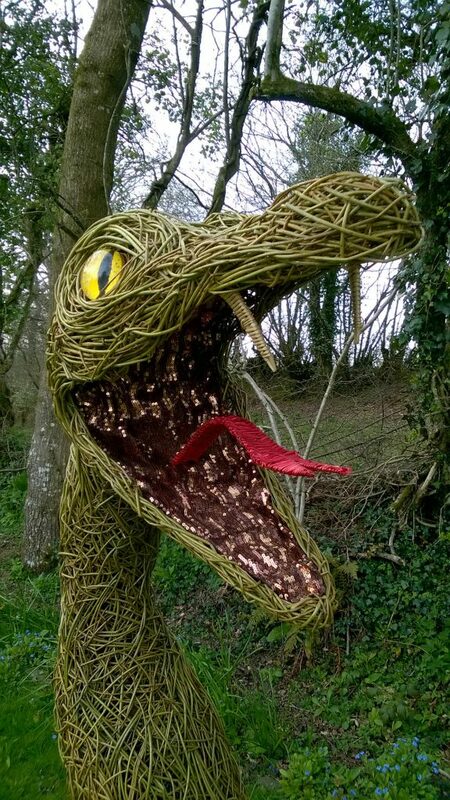 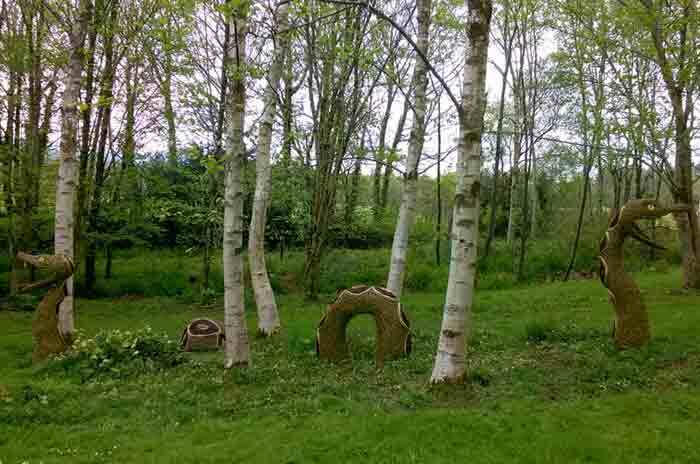 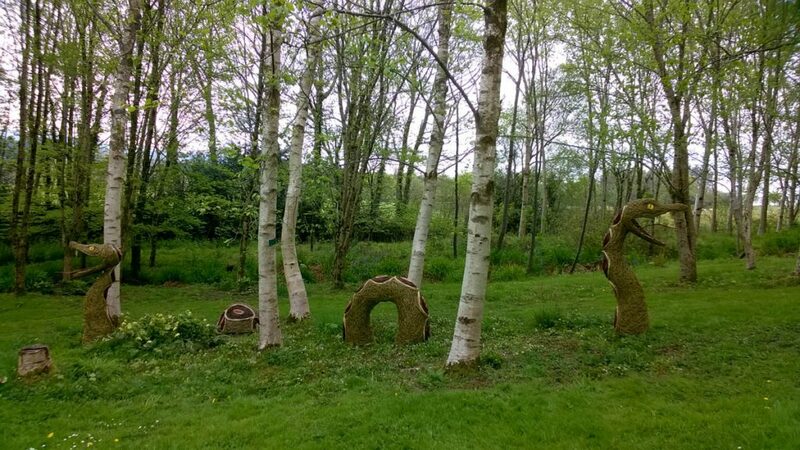 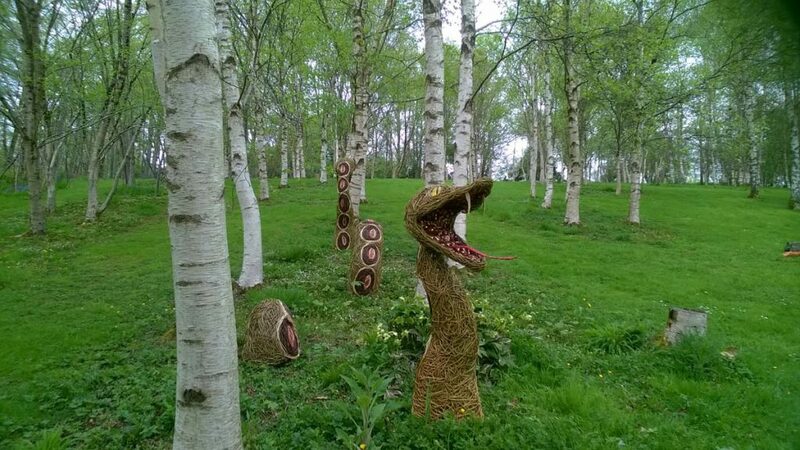 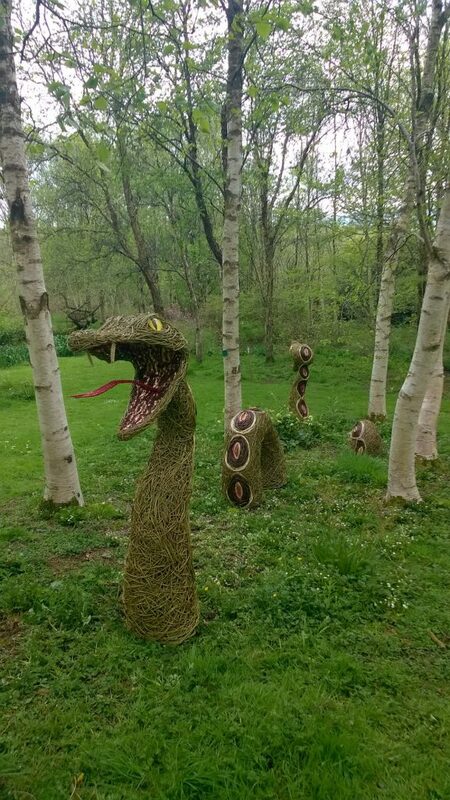 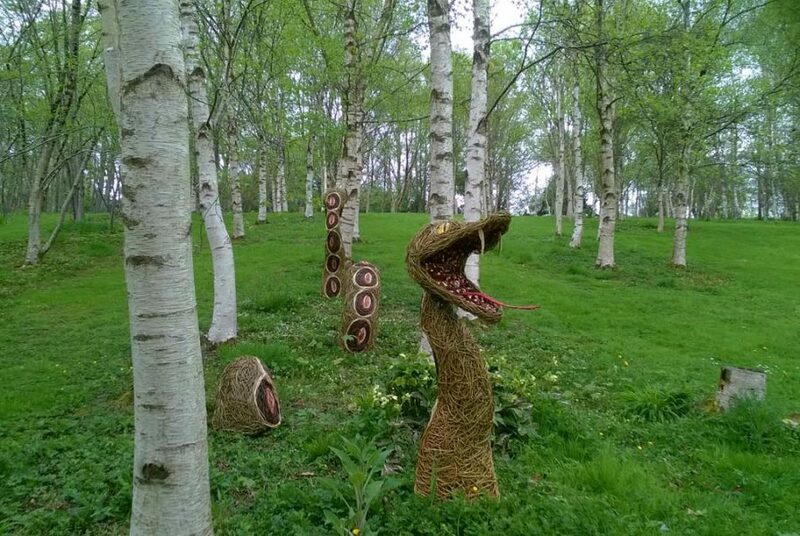 The snake was created for the Stone Lane gardens on Dartmoor for their exhibition called reflections. 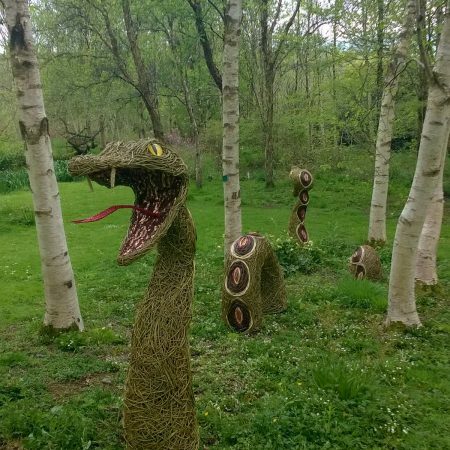 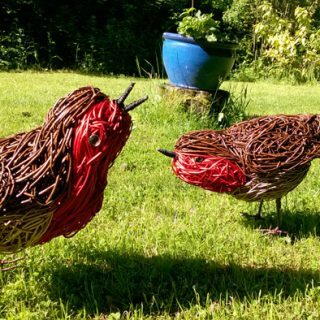 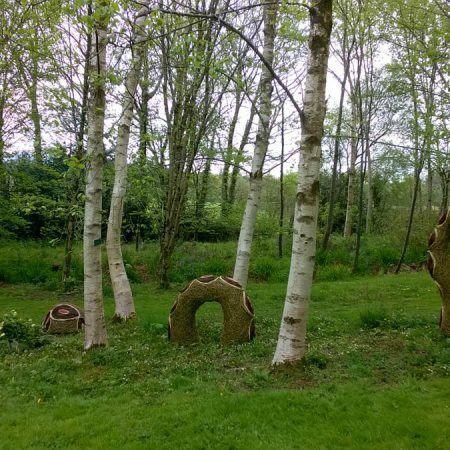 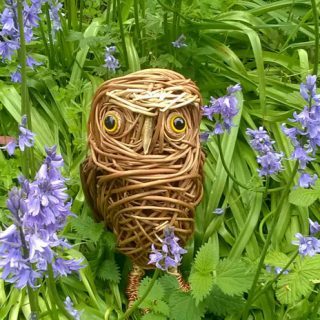 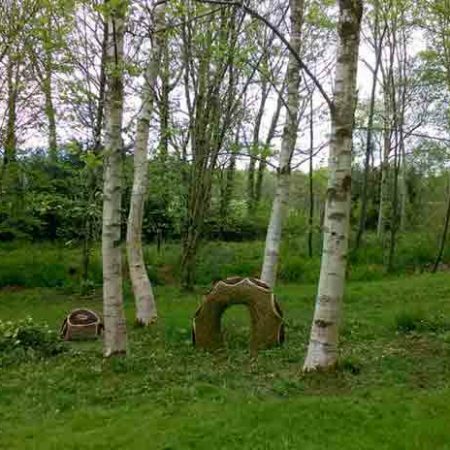 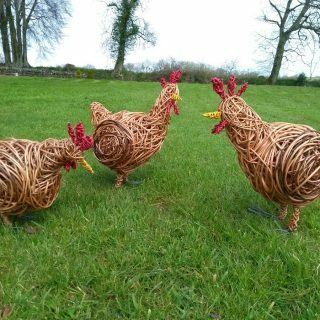 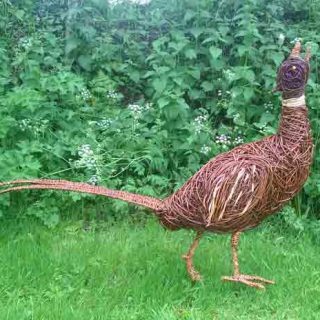 It is made of freshly cut dicky meadows willow, and has steamed and dyed willow patterns. 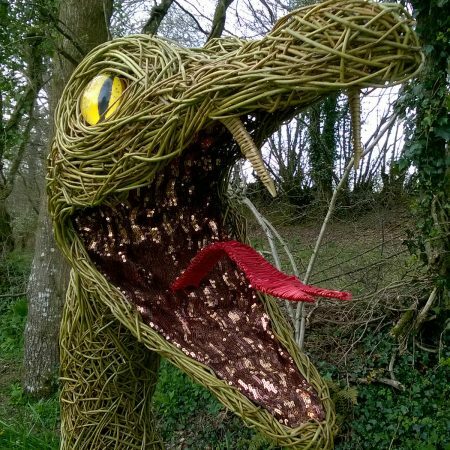 It has wonderful sequin fabric as it’s mouth insides and the whole sculpture is in 4 parts.